Adam Carroll - Virginia - Book a consultation instantly! 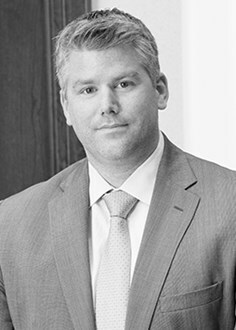 Adam M. Carroll concentrates his practice in the areas of Civil & Criminal Litigation and Real Estate Transactions. 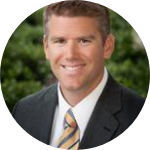 Drawing on experience gained in the public sector as a prosecutor, Mr. Carroll represents businesses and individuals in federal and state courts throughout Virginia. Typically, his civil cases involve collateral recovery, contract disputes, serving as local counsel, and general liability cases including maritime law. On the criminal side, as an experienced trial attorney, Mr. Carroll represents those finding themselves being investigated by federal and state officials in a variety of matters ranging from multimillion dollar white collar cases to crimes and infractions in area Circuit and District Courts. Mr. Carroll joined the firm in May 2012 and received his J.D. from Campbell University, Norman Adrian Wiggins School of Law. He was admitted to practice in Virginia in 2004 and began his career as a prosecutor in the City of Hampton. After leaving public service, Mr. Carroll worked through the real estate boom in the mid-2000s at a high volume real estate firm in the Western-Hampton Roads Cities. There he gained substantial experience in residential and commercial real estate transactions and currently advises individuals, agents and brokers as they navigate the contract and closing phases of their transactions. Additionally, he lectures professionals in the areas of landlord/tenant rights, eviction and obligations. Mr. Carroll is active in his community, serving for a time on the Board of Directors of his homeowners association, participating in fundraisers for ALS (in memory of his grandmother), breast cancer (in support of his mother) and to make the arts more accessible to the Hampton Roads Community through the Sandler Center.